Our science classes in March were great! 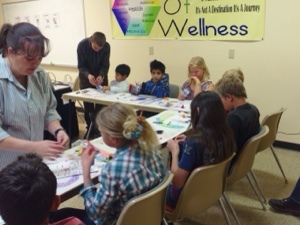 Every class was full with ages ranging from 3-16 and we all had fun. 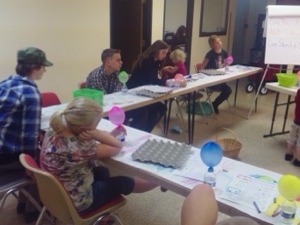 One week we learned about our lungs and made a lung using a water bottle, balloons, a plastic bag and a rubber band. The kids loved it! We also made straw rockets that we did a few tests with to see what our lungs can do when we put them to work. 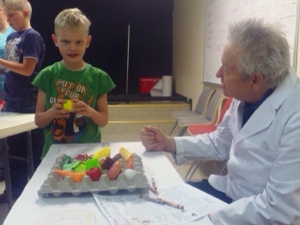 At another class Dr. James taught us about different kinds of food and how our body processes them. We used play food and divided it according to how it is digested. Then we did an experiment to demonstrate improper food combining in our stomach. We used baking soda, vinegar, water, a water bottle and a balloon for the experiment. It was amazing and we learned a lot. At our last class in March we discovered some wonderful things about plants. 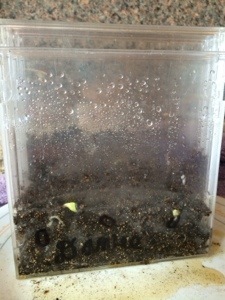 We started some seeds in cd cases so that we could watch the parts of the plants as they grow. Everyone took them home with a small book to document the daily changes. The book will have a drawing for each days changes and will be a flip motion cartoon when done. I can’t wait to see everyone’s results when we meet again! We are so thankful for Dr. James and the staff at Professional Herbal Instruction for letting us use their class rooms. They have been amazing and we wouldn’t be able to have these science classes without them.